Channing Tatum of G.I. Joe: The Rise of the Cobra consistently looks great with his always short haircuts. Our gallery of pictures of Channing Tatum haircuts has all of his haircuts covered -- from his shaved head to his "long" spiky style. Channing Tatum's Classic Ivy League is one of my favorite looks on him. The style (cut with a #1 blade on the sides and finger length on top) is a classic, masculine, all American look. This is a view from the side of Channing Tatum's Classic Ivy League showing that the hair is cut aggressively close all the way up the back over the crown. The top gradually gets a bit longer toward the front hairline. A great example of the Ivy League haircut. Channing Tatum's Wet Textured Style is cut short on the sides (about a 3 1/2 blade) and left about 3 inches long on top. The style is achieved by applying a high-shine pomade and simply moving the hair on top around with the fingers. For the premiere of G.I. Joe: The Rise of the Cobra, Channing Tatum is sporting a longish Faux Hawk. The hair is clipped close on the sides and styled on top to allow a bit more height at the center of the head. Channing Tatum's Haircut in this photo is a new take on the classic taper. The hair is cut close with clippers on the sides and back and tapers into about 3 1/2 inches of length on top. The hair can be worn combed neatly for a traditional look or spiked up with a bit of styling paste as it is in the photo above. Channing Tatum's Crewcut in this photo is an easy no-nonsense style. The hair is buzzed short on all over (about a #4 blade on top, tapered to a #2 on the sides and back). A bit of pomade can be added for shine, but this style looks good straight out of the shower. Photo © Chris Jackson | Getty Images. 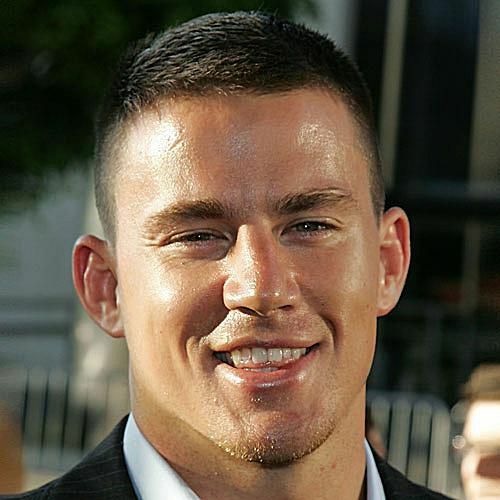 Channing Tatum's Classic Taper is an unusual look for the often buzzed or messy Tatum. For this style, the hair is parted and combed to the side with a bit of pomade for a more conservative, traditional look. Channing Tatum's Spiked Style is a bit of a throwback to the 80's. 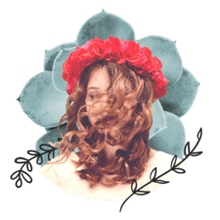 The hair is cut aggressively close high up the sides and back, while the top is styled up and toward the center to create messy, flattop effect. Channing Tatum's Messy Ivy League takes the traditional Ivy League haircut and gives it just a bit of texture for a more contemporary look. For this style, the hair can be worn with a bit of spiky texture (as shown) or styled neatly for a more conservative look. Channing Tatum's Burr Haircut is my favorite look for him. Channing's nearly shaved head (the hair is clipped to a #1 blade all over) really showcases his masculine good looks and frames his face beautifully. It's a great look for him and one that he seems to return to quite often between film projects.